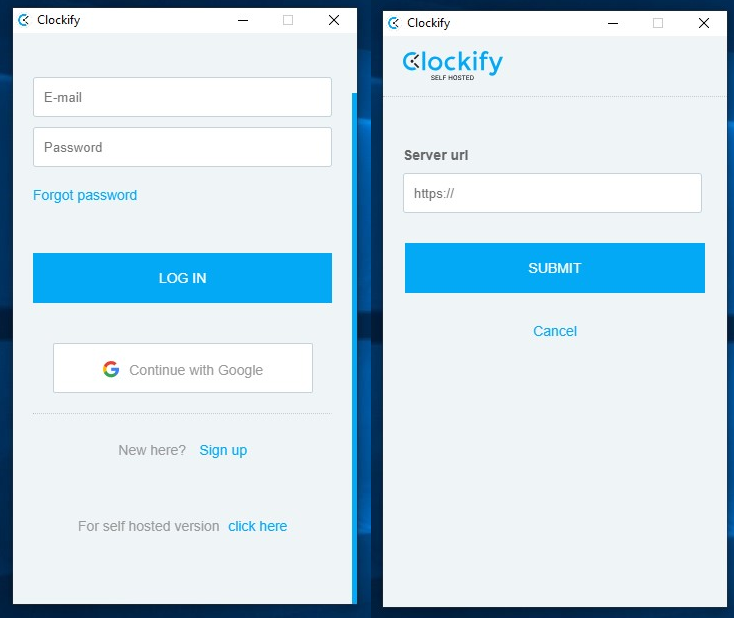 Clockify Desktop app for Windows is a native Windows 10 application that enables faster and more convenient time tracking. 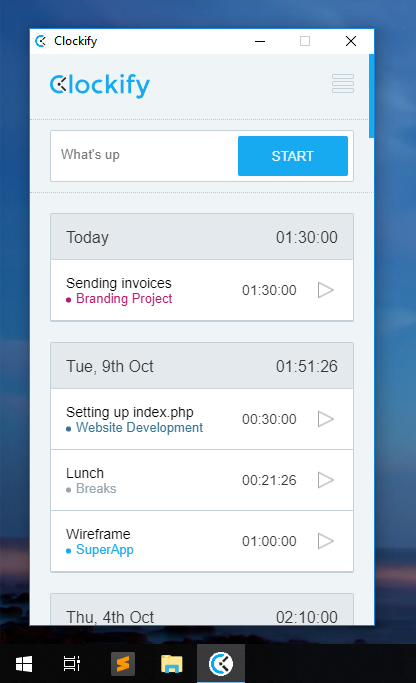 Once you install it on your computer, you can track time right from your desktop, without having to open Clockify in a browser. 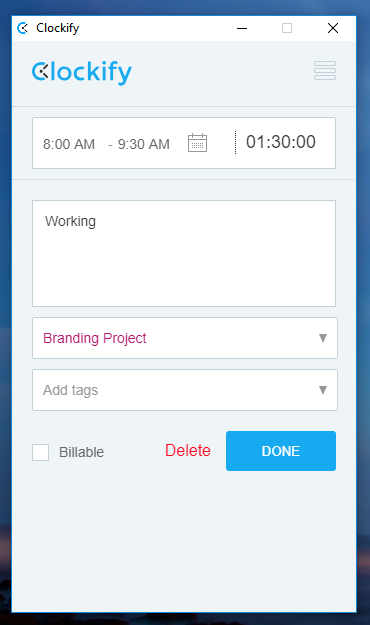 Before you can start tracking time, you first have to log into your Clockify account (you can create one here for free). Once you have an account, type your email and password to log in. Logging in with your Google account is coming soon. If you’ve registered via Google and don’t have a password, you can set a password in your User Settings (your log in username is your Gmail address). 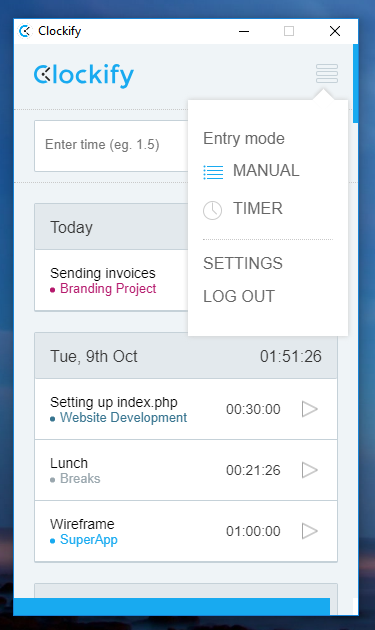 To add time, first change time tracking mode by clicking on the menu icon in the upper right corner and choosing “Manual”. Then, you can enter the duration, click Add, and type what you’ve worked on in the next screen. To delete a time entry, click on a time entry to bring out its details, and click Delete (located next to the Done button). You can track time in Clockify Windows app even if you’re offline. You can create time entries manually or start/stop the timer. Entries made while offline will be saved locally on your computer. Once you get back online, they’ll get synced with your web account.